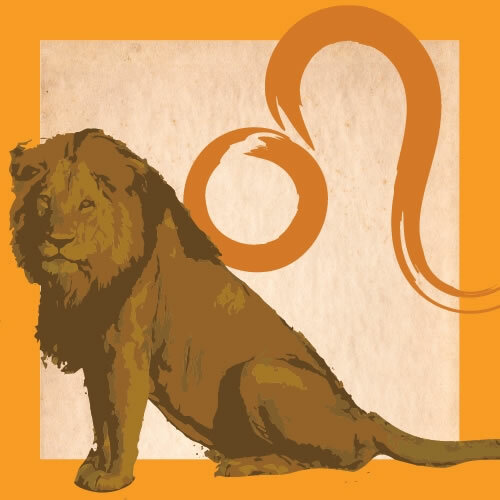 (July 22-Aug. 23) — Leo is one of the most misunderstood signs. But it’s easier to understand if you remember that while the other signs are ruled by a planet that orbits the Sun, Leo is ruled by the thing at the center of our solar system, around which all the other planets orbit (some 500,000 now known). So while Leo has the tendency to be at the center of it all, there is a deep responsibility that comes with having this as your Sun sign or ascendant. You’re likely to feel this all the time, and it manifests as a selfless and hard-working quality. Leo is associated with the metal gold — the reference standard for all value. You can be generous with others and frugal with yourself; you hold yourself to a high standard and often strive for a kind of perfection that is impossible to attain. The less well-adapted (or insecure) natives of Leo can be incredibly egocentric and bossy, which can give the rest a bad name; for the most part those born under this sign emphasize leadership and responsibility rather than a privilege. You’re strongly drawn to group activities and organizations, and you have the self-confidence and presence of mind to play a useful role in any such activity. You need to be visible, and you also need a steady career that is in tune with your deepest values. If you want to understand yourself, study the house position and the aspects to your Sun, for which you will need your whole natal chart. More than any other sign, the house position of the Sun is vital to understand with Leo. It will tell you the ways you’re most naturally inclined to express yourself. Your rising sign will tell you a lot. That said, as a Leo you want to be seen, known and you need to find roles in life that give you a bit of visibility and put you in a position to be appreciated. It’s unbecoming of your regal nature to expect adulation, however. You’re only as important as the role you play in the lives of the people around you, and it’s necessary to take a big view of what that means. Your relationships are with humanity first and individual humans second. You understand how important it is to see humanity as a collective entity, and you can actually grasp that idea. Make sure everyone you care about knows how deeply you really feel about them. Health-wise you must take care of your heart. Leo rules the heart, but it requires special care. Leo is a fire sign, and is also known as a fixed sign, coming at the peak (center month) of its season.